Clone Wars – Celebrating the Fourth! May the force Fourth be with you! Happy Star Wars Day! So for this force fourth, I thought that I would share the original Clone wars animated series in celebration. Before the animated movie Star Wars: The Clone Wars and long before the television series of the same name, Cartoon Network produced 25 “micro” episodes to fill in the three-year gap between the prequel films Attack of the Clones and Revenge of the Sith. Star Wars: Clone Wars aired from 2003 to 2005, following the actions of Anakin Skywalker, Obi-Wan Kenobi, Mace Windu, Yoda, and other Jedi knights during the conflict. The series begins a few months after the events of Attack of the Clones, which means the war has only begun. Back when it originally aired, Star Wars: Clone Wars introduced more Jedi masters and knights, who were previously only glimpsed in the prequel films. It also introduced more antagonists to me – Asajj Ventress and General Grievous. Ventress and Greivous both would later appear in the animated television series Star Wars: The Clone Wars. Ventress also appeared in the introductory film of the same name. Greivous also appeared as a major antagonist in the prequel film Revenge of the Sith. Star Wars: Clone Wars was the first animated series to introduce the events of the Clone wars, but it is rarely mentioned since the popular and more in-depth Star Wars: The Clone Wars aired years later. I’m a fan of both Clone wars animated series – being a pretty big Star Wars nerd myself! But I will admit that Star Wars: Clone Wars holds a special place in my heart – it actually aired its episodes between the release dates of the prequel films. It was limited by its time format: the first two seasons with two- to three-minute length episodes and fifteen-minute episodes airing during the third season. But the animation style really worked for me – even though I love the look of the 3D animation of Star Wars: The Clone Wars. It just saddens me a little when this animated series is overlooked so often. I really enjoyed it because it was such an event when it actually aired on Cartoon Network – big monthly gaps between the seasons to stretch the very short miniseries to make it last til the release date of Revenge of the Sith. I loved Star Wars: Clone Wars even though portions of the storyline were not as interesting as its same time period successor’s episodes. Regardless, I am still going to fangirl all over this post with some more screenshots from the first animated series about the Clone wars. 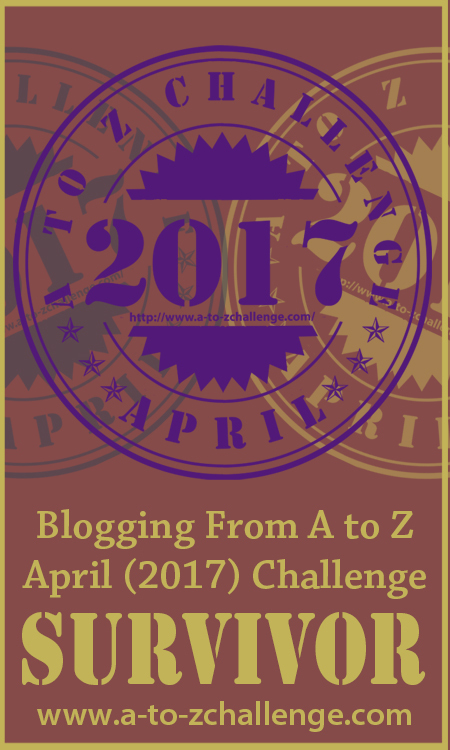 I made it through the A to Z challenge – I was SUPER worried a couple of times through the past weeks, but I made it to the end! For those who haven’t been dropping in on my nerdy little spot here, I decided to stitch some SUPERheroes, specifically weelittlestitches’ superhero alphabet sampler and fangirl stitches’ girl power superhero comic book alphabet. Sharing each character to represent the letter of the day, I not only stitched the corresponding characters – I shared some of my personal thoughts and knowledge along with any research that I had about those characters. For me, this challenge was tough – it was a SUPER challenge. I may have bitten off a little more than I could chew with the ambitious choice of two alphabet cross stitch patterns. It was rough sometimes, especially when I work on a third-shift schedule. I’m not a regular blogger anymore – ever since I finished college, blogging has fallen on the back-burner. So posting everyday was SUPER challenging with working at night and sleeping in the afternoons – but I managed to post every day for each letter. SUPER proud! It was intense at times when I was feeling the pressure of stitching and blogging on the same day. I tried to manage my time the best I could, but everybody has their off-days when you just don’t feel like stitching or writing. It was exhausting, and to be completely honest, I’ll be putting the girl power alphabet down for a bit before I even start detailing it with backstitches and french knots. I’ll definitely be taking a step back from the blog for a bit, but I’ve definitely been feeling the rush and satisfaction of posting on the regular. Hopefully, I come back sooner than two years, which was the length of my last hiatus here at Nerdy Girl – I definitely have some future SUPER posts in mind! 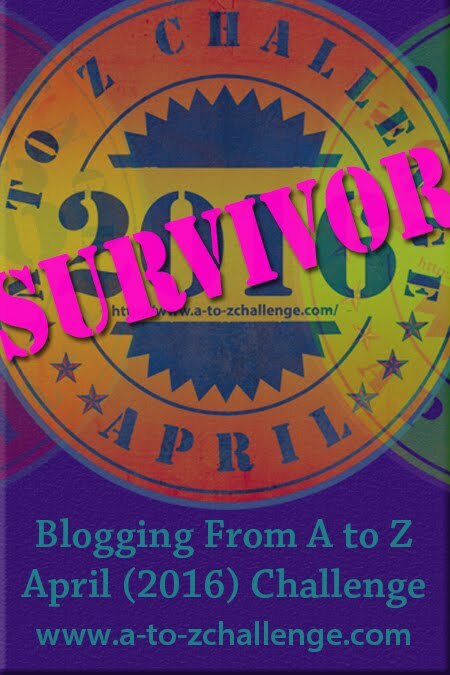 Through the challenge, I met some amazing bloggers and fellow stitchers. I actually communicated with one of the pattern designers, which is SUPER exciting because I’m a big fan of her cross stitch patterns. I met some fellow SUPERhero fans too! I admit that I didn’t check out as many blogs as I had planned, but I found some real gems out there. I even shared some with my (cross stitching) mother, who found the entire challenge SUPER inspiring. Will I do the challenge again next year? (SUPER) Hell yeah! I’ve actually thought of possible topics, but I’m not sure if I’ll stitch the alphabet (or multiple alphabets) next time around. I’m really into animation (if you hadn’t figured that out with my challenge posts) in all its forms, and I’m leaning toward some topics that might spotlight animated series and movies.